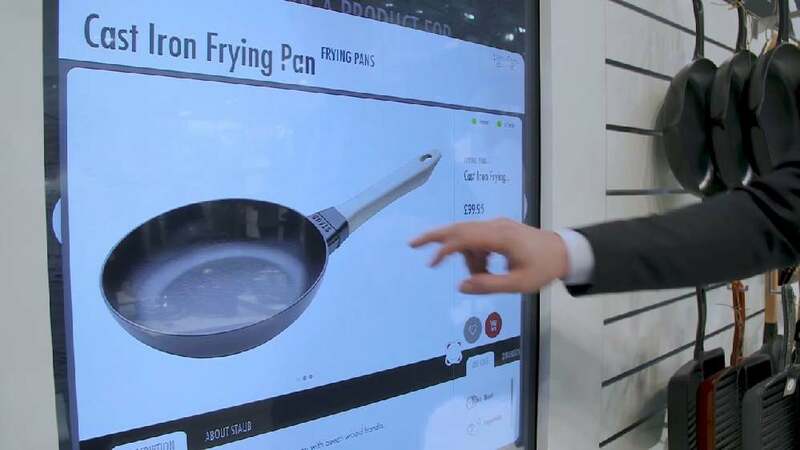 The Zwilling Digital Table with touch display creates an innovative connection between offline and online shopping in the store. All of the products’ information and highlights are presented digitally, including videos about care instructions, production details and possible applications. The customer simply places the product on the shelf below the large-format screen for automatic scanning of the barcode. In addition, customers can get digital advice according to their individual requirements and buy products directly by adding items to the online shopping cart via drag and drop.